just dropping by to say.. 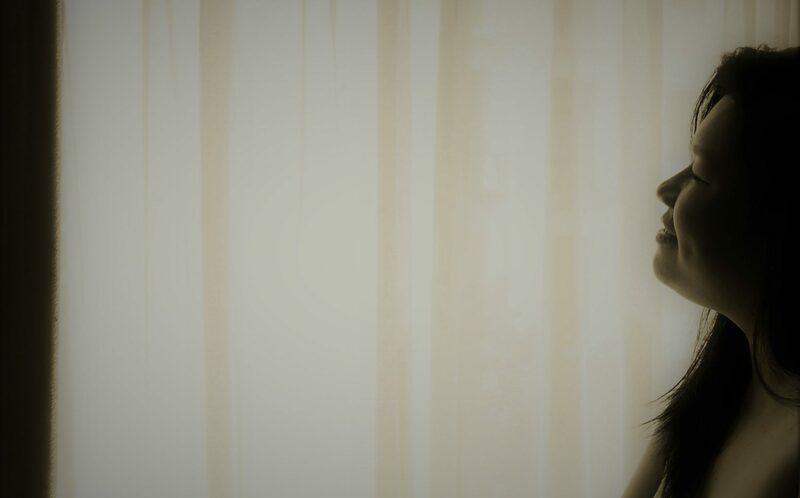 This entry was posted in random and tagged Mother's day on May 13, 2012 by avnmobile. Saw a rainbow while on the way home after 1st day of work 🙂 It’s a good sign. 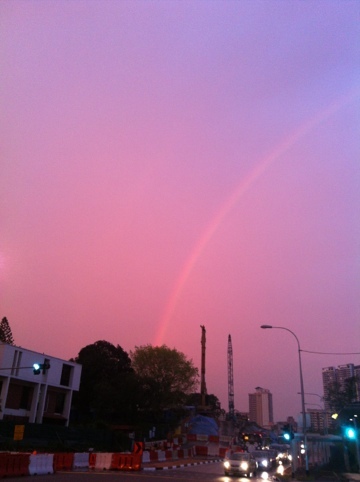 This entry was posted in 9gag, Interesting Blogposts and tagged 9gag, Rainbow on May 9, 2012 by avnmobile. KFC introduced their 2 zinger fillet + cheese + bacon burger (Zinger Double Down) in conjunction w the movie Avengers. It’s great that it is not dripping with oil that some people say. The double down burger is no go for me… too much meat. 🙁 guess I’m not so much of a carnivore. Then again, the salty-ness of the bacon, w just 1 slice of the chicken works well 🙂 Yippie! I want to go watch Avengers the movie!!! 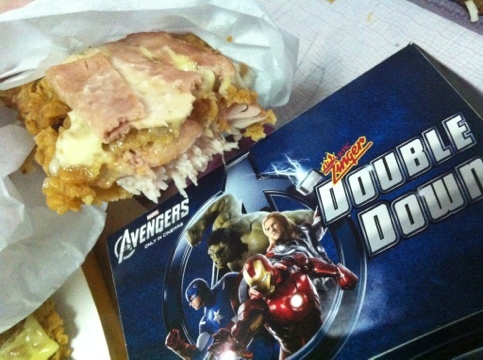 This entry was posted in Food and tagged Avengers, Double Down Burger, KFC on May 5, 2012 by avnmobile.